Feng Shui consultations provide guidance in selecting and designing wholesome living and working environments. It helps creating wholesome spaces for business success, harmonious relationship, good health, prosperity and over all happiness of life. • Analyze the energy of commercial buildings and provide recommendations to enhance employee morale, increase productivity, and promote growth. • Provide guidance in layout and interior design for more efficient work flow, better communication, and improved work performance. • Create strong images and designs for company logos, business cards, ads and promotional material. • Trouble-shoot factors that may contribute to personnel problems or restriction of growth. • Provide guidance in purchasing or renting the right dwelling. • Help with site selection and new construction design. • Offer layout and design guidance on remodeling projects. • Recommend improvements to enhance energy for both interior spaces and exterior environments. • Analyze energy flows to identify problem and find solutions for financial, career, health, and relationship issues. 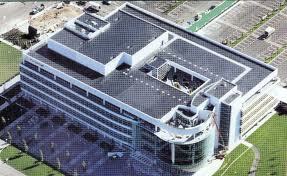 Boeing Corporation （波音公司）Seattle Washington: participating in design of the headquarter of Commercial Airline Group. 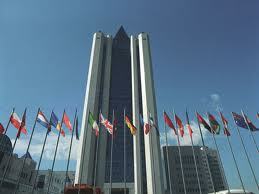 Gazprom – the largest Russia energy company: office floor lay out in Moscow’s World Trade Center. AG Steel of Ukraine: Site selection and building layout. NFL (National Football League) Franchise. Sea Land shipping company: office layout and adjustment. Seattle Chinese Garden Project; site selection. “My mother had lived alone for many years. A consultation from Dr. Hsu at my mother’s house changed her life. Soon after she made the changes according to his recommendations, she met a nice man, and they are now happily married. ” - Bertha Aybar, Architect, Washington D.C.